suggest complex ideas through their form. 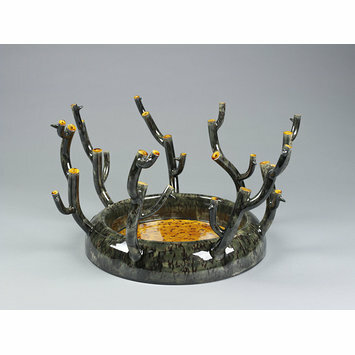 ceramics became popular in the 18th century. 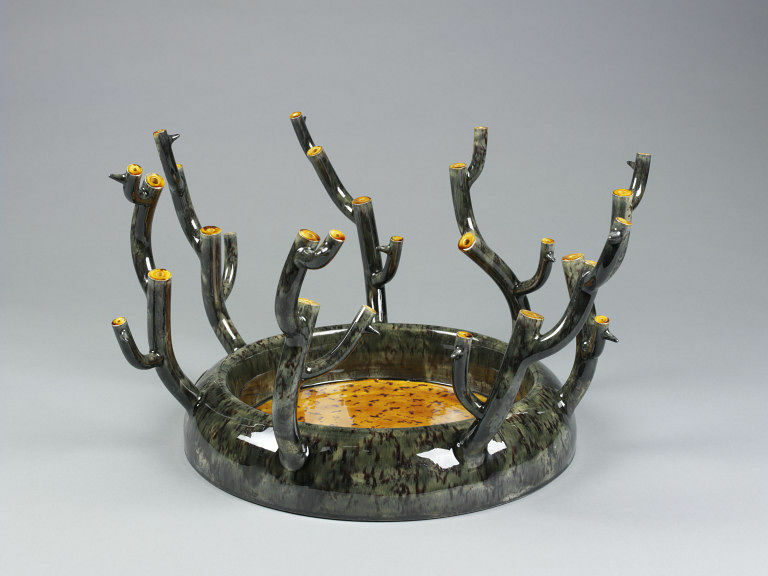 Flat based dish, with branches protruding from the rim, glazed in a mottled green, blue, grey glaze, and a mottled yellow and brown glaze on inside of dish and tips of the branches.